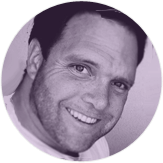 Joshua Parkinson is a poet turned tech junkie whose passion for conversation and content led him around the world and eventually to bootstrap Post Planner. After snagging a grad degree in literature in 2000, Josh jumped the American ship and headed for Europe, where he sang rhymes to crowds for 5 years before moving to Arabia to teach Shakespeare to American troops. Josh’s interest in tech was sparked while working for a VC firm in Utah in 2009. His due diligence work there taught him one thing: he wanted to be the startup, not the investor. He got that chance in 2011 when he launched Post Planner. The app launched in March 2011, with paid sign-ups on Day 1. From there Josh and his co-founder, Slav, grew Post Planner from a simple scheduler into a powerhouse content curation and social publishing platform. Josh currently lives in San Francisco with his wife and kids. He is the Founder and CCPK (Chief Customer Pain Killer) of Post Planner.